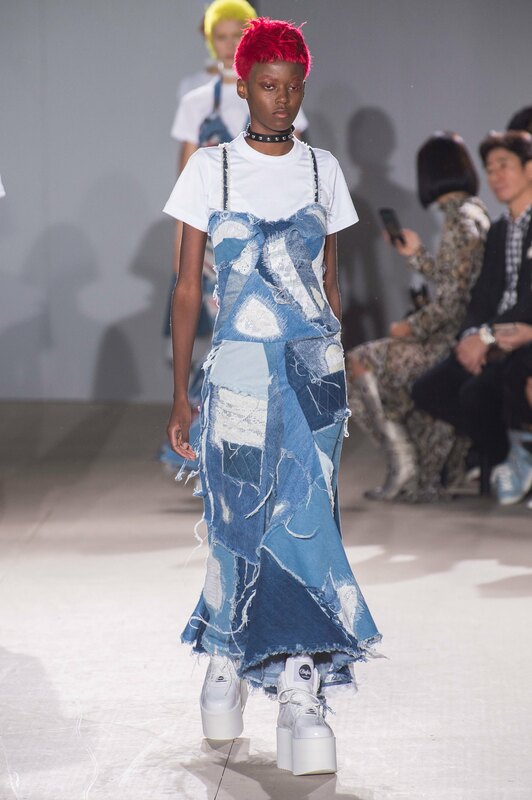 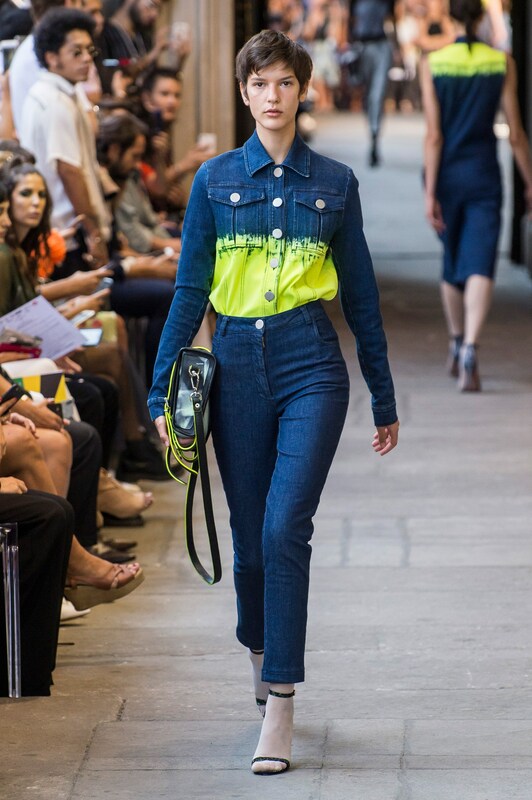 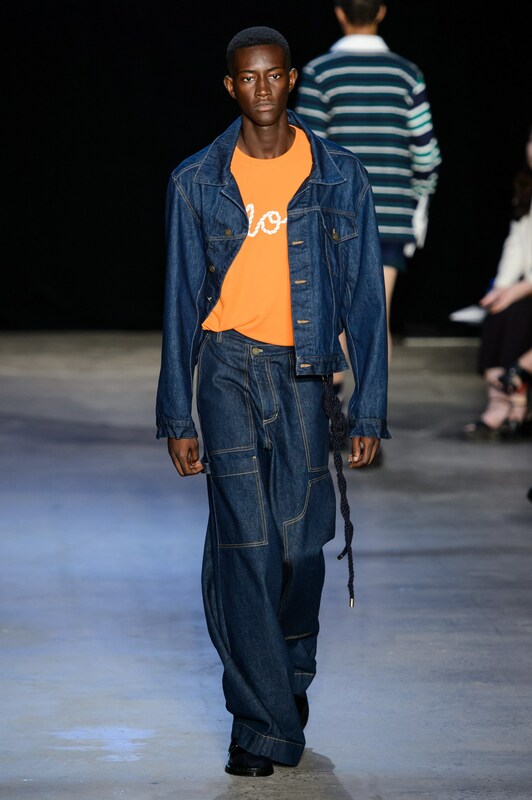 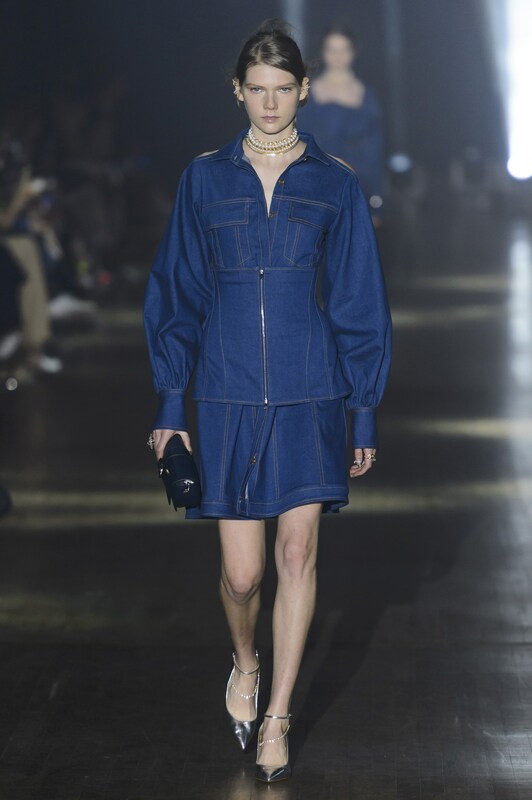 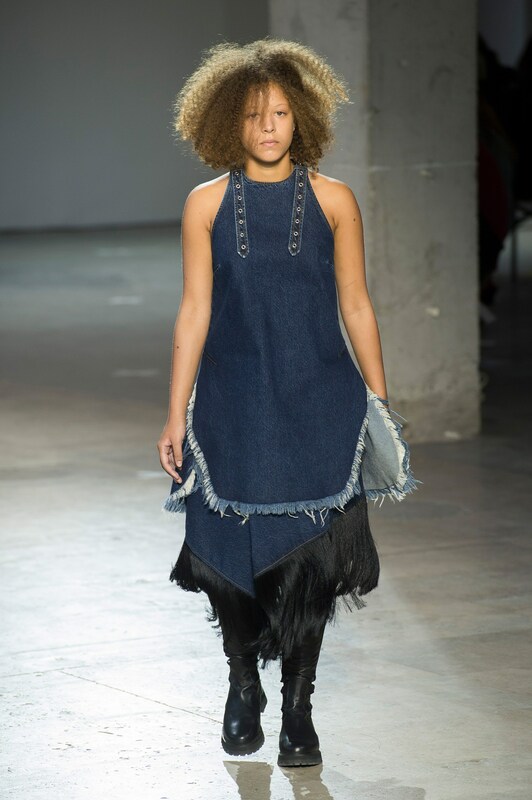 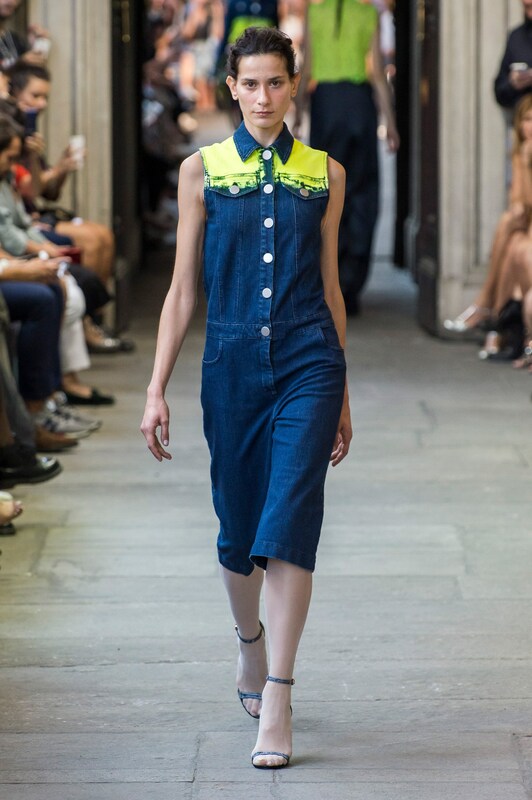 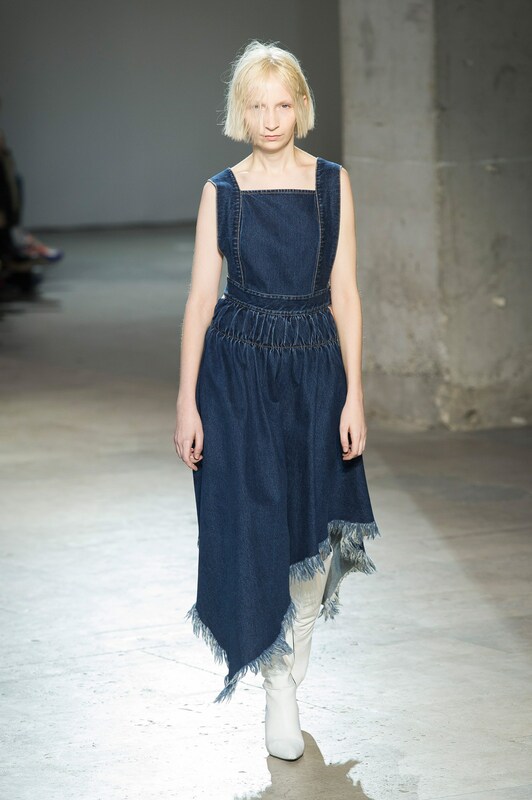 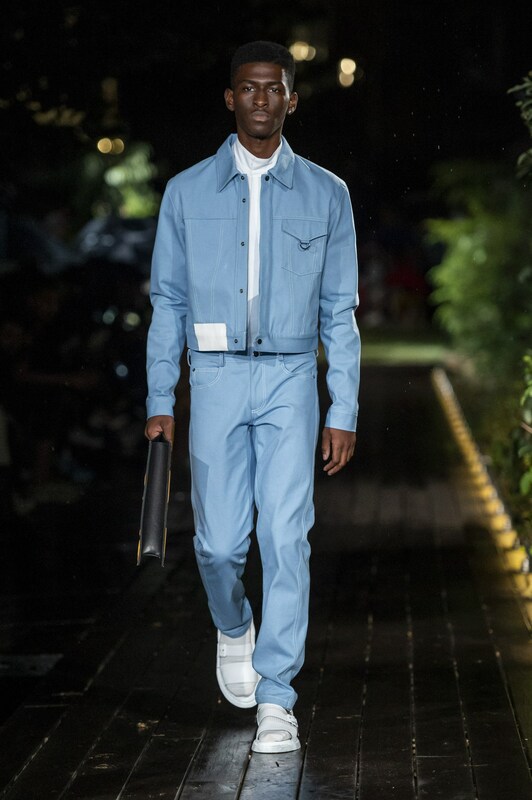 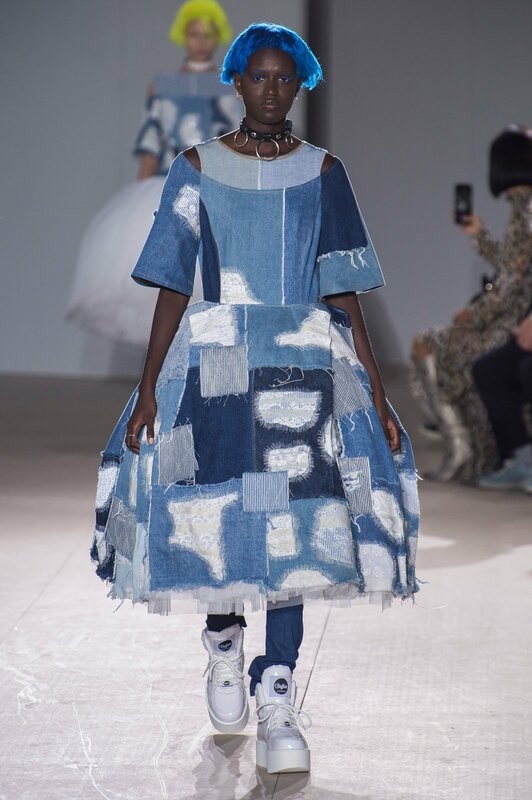 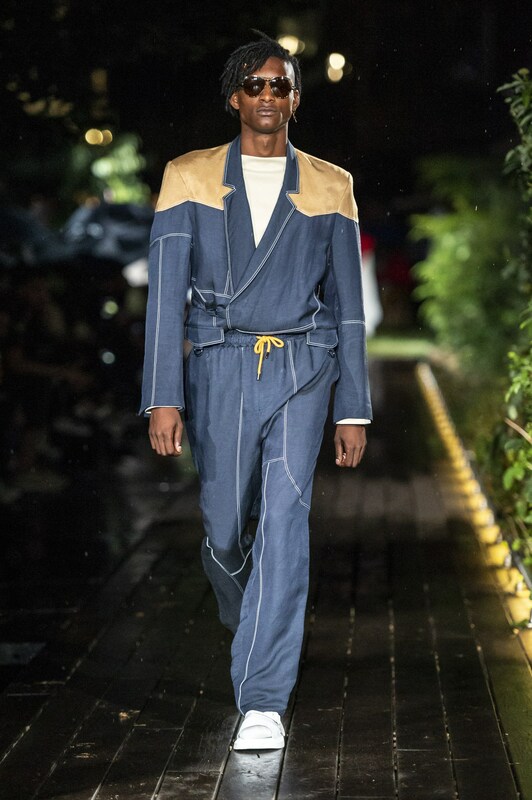 For spring 2019 designers worldwide rediscover the beauty of blue, sending out denim-on-denim looks on the catwalks of all the major cities. 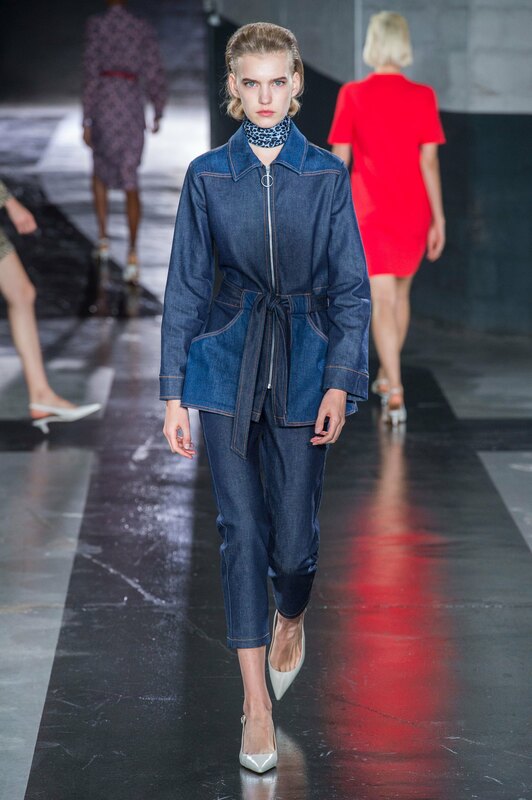 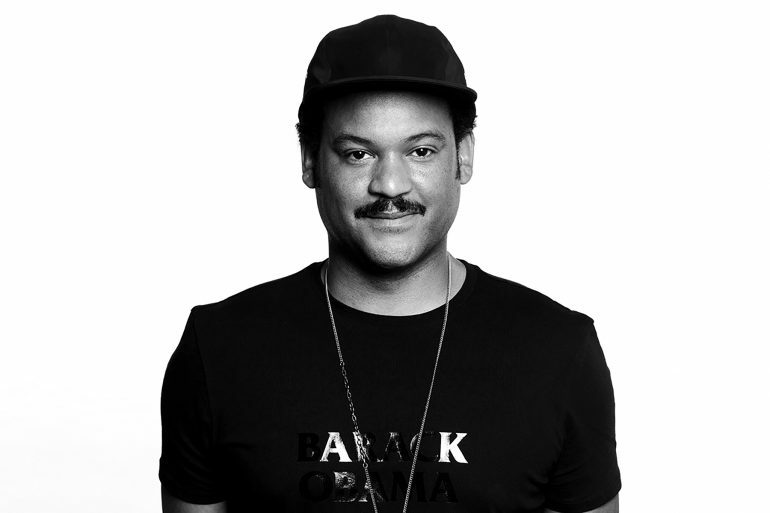 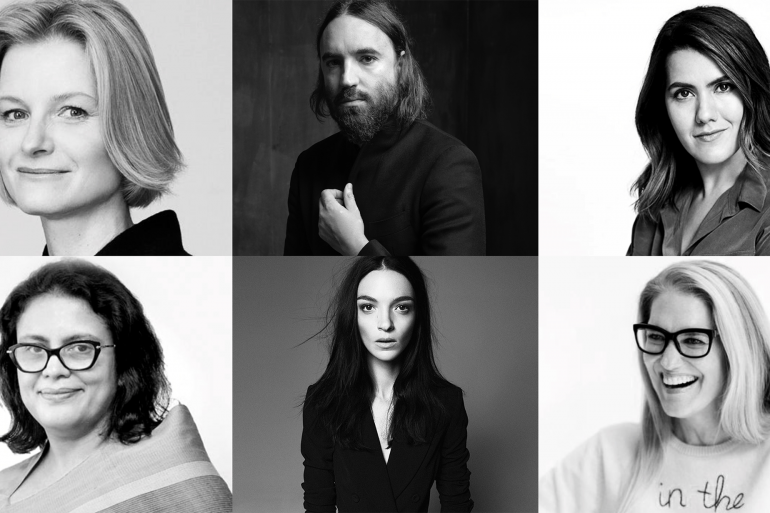 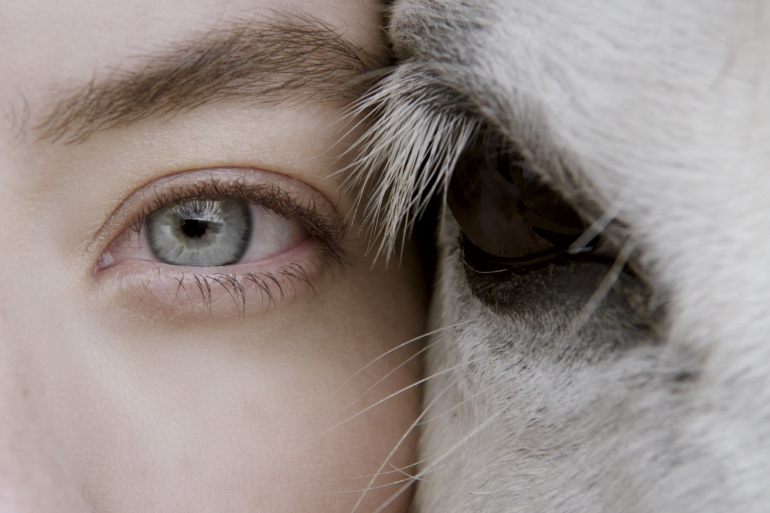 While associated with America as much as apple pie and baseball, the true history of denim belongs on the international stage and is anything but American. 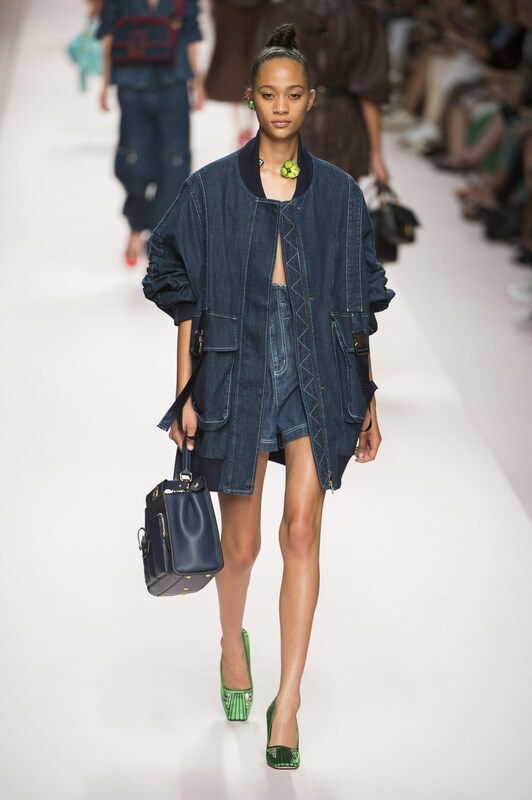 “Denim” comes from the term associated with the fabric “serge de Nimes,” which originated in the French city of Nimes. 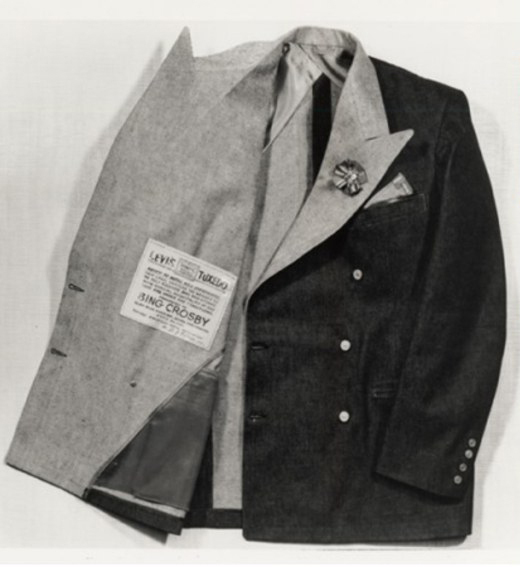 Jeans come from “Genes” – a name given by French to Genoa, where cotton trousers were made. 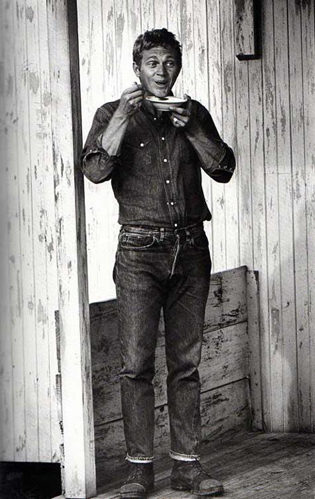 And while American certainly took liberties with the material to complete denim on denim ensembles, especially in the 60s and 70s, it was an event in Canada in the 50s involving American crooner Bing Crosby that gave the denim-on-denim look its official title, the Canadian Tuxedo. 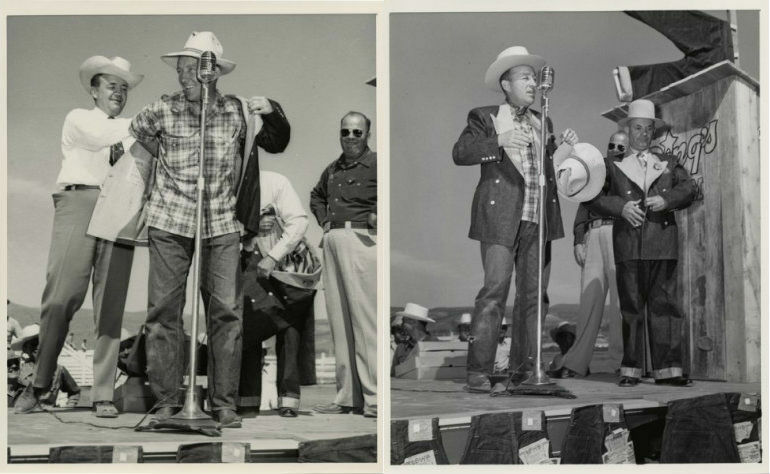 In 1951 Bing Crosby, at the height of his fame, was on a fishing trip and almost denied entry in a Vancouver hotel because the clerk didn’t recognize him and he was dressed in head-to-toe worn out denim. 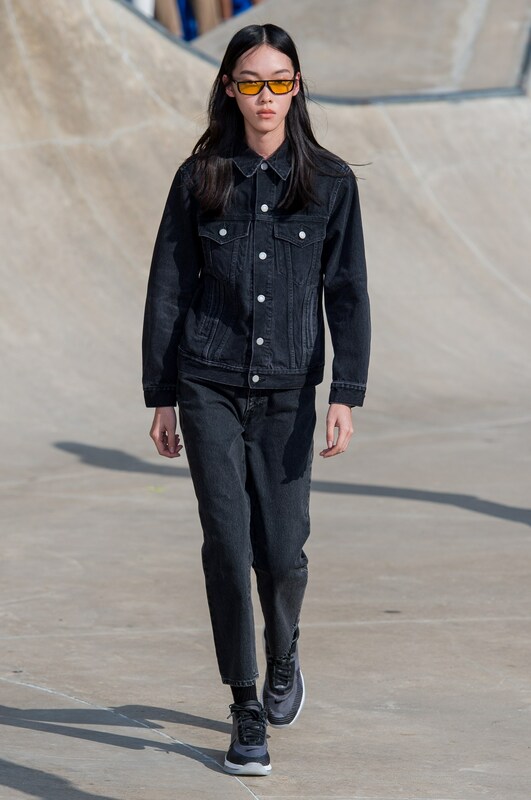 Word got out of the incident and Crosby’s friends back in California reached out to the people at Levi Strauss who quickly designed a double-breasted denim tuxedo jacket that Levi Strauss and Co. gave Crosby to right the wrong. 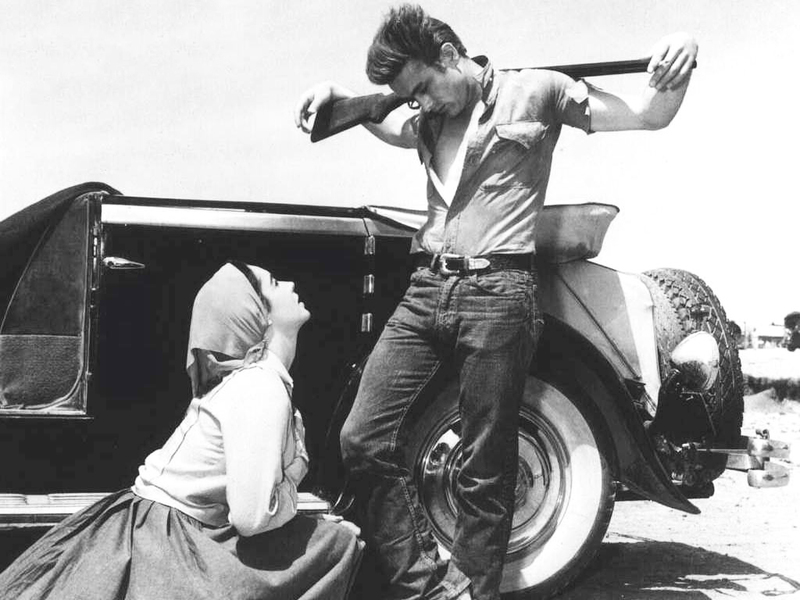 This PR dream in the 50’s made global headlines, and went on to influence a generation in Hollywood as, dare we say it, rebellious. 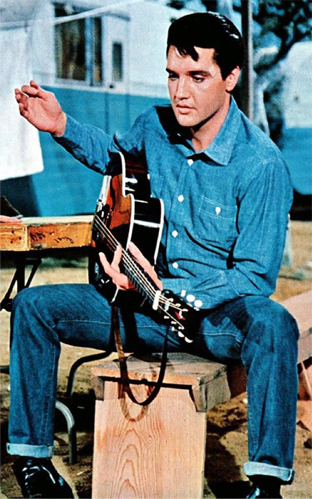 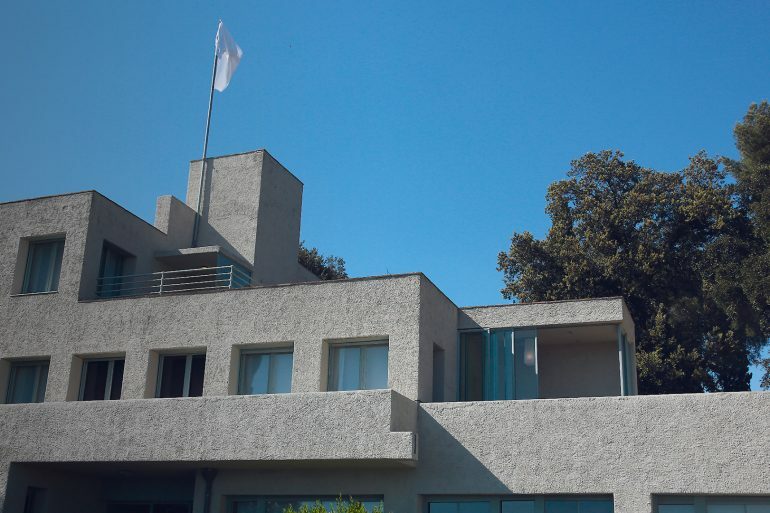 the look quickly influenced the films of its time and specifically the wardrobe of James Dean in Giant, moving on to help shape the image of Elvis Presley and Mister Cool himself, Steve McQueen. 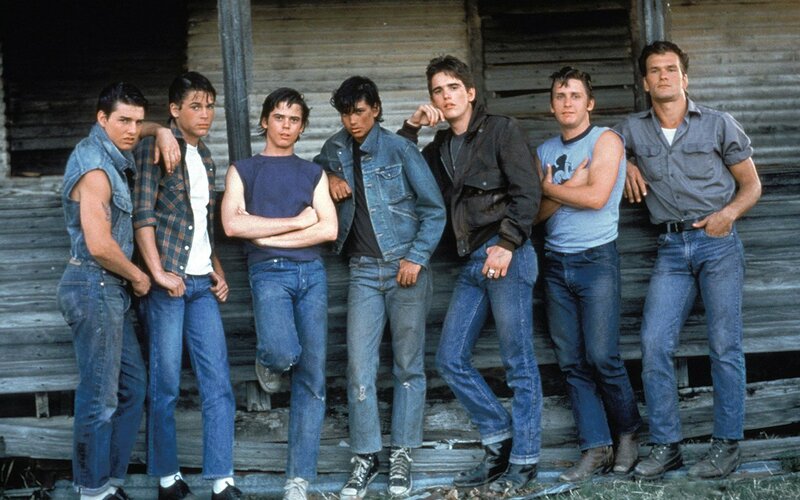 The look was revisited in 1980s film about 1950s rebels, The Outsiders and is still reflective today. 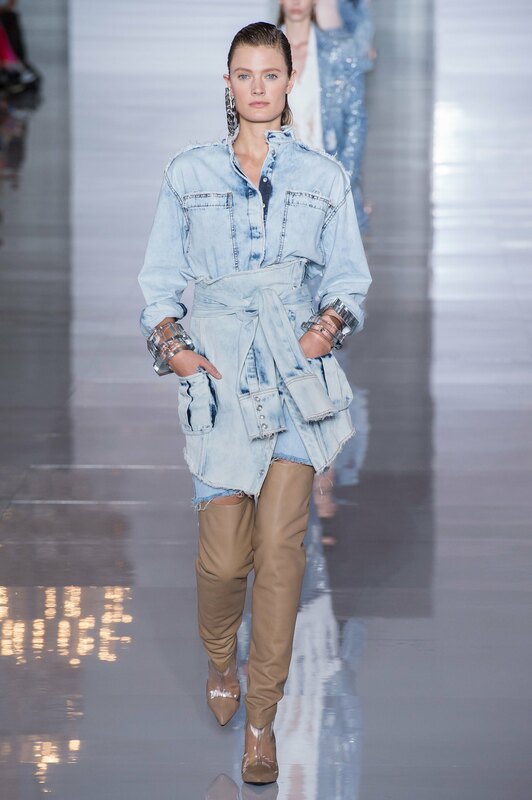 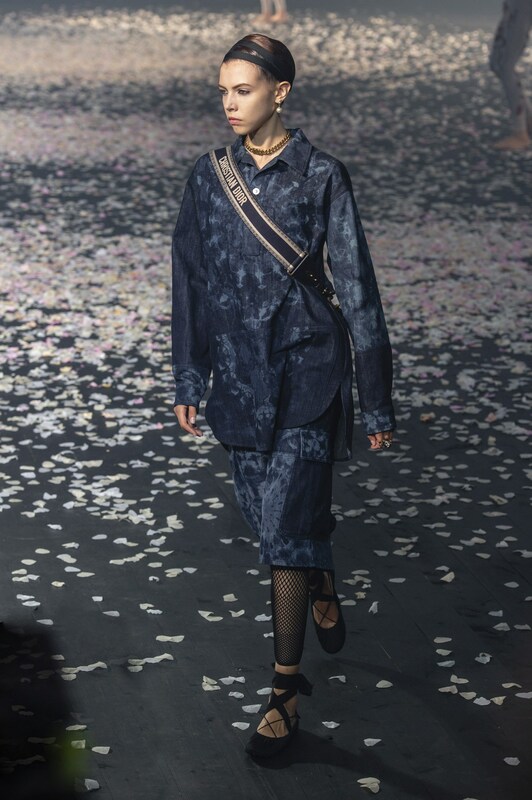 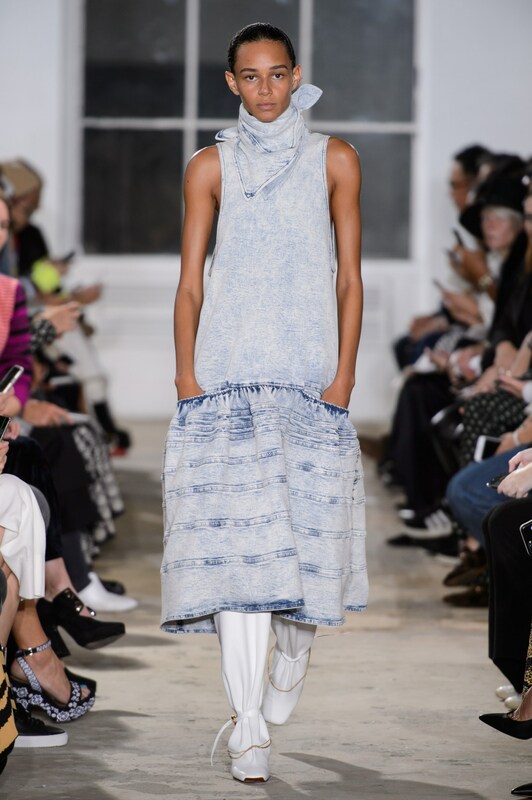 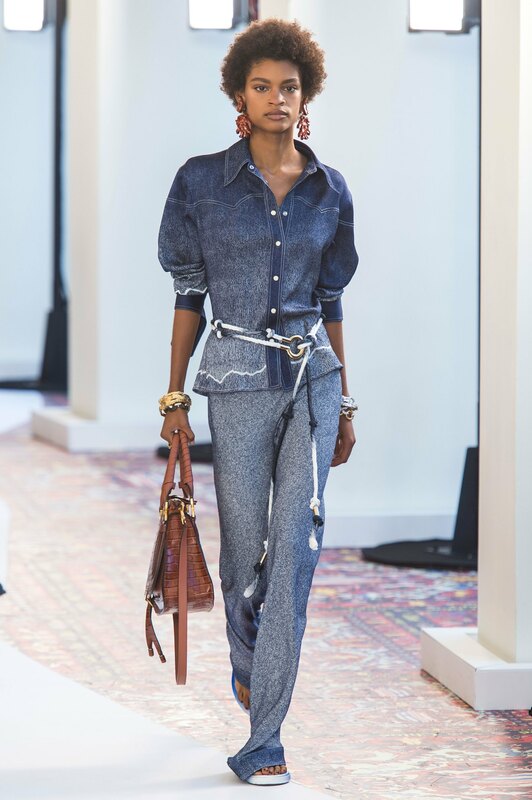 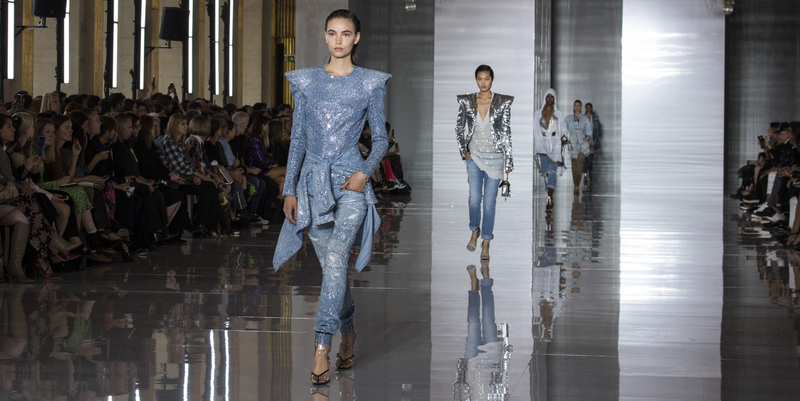 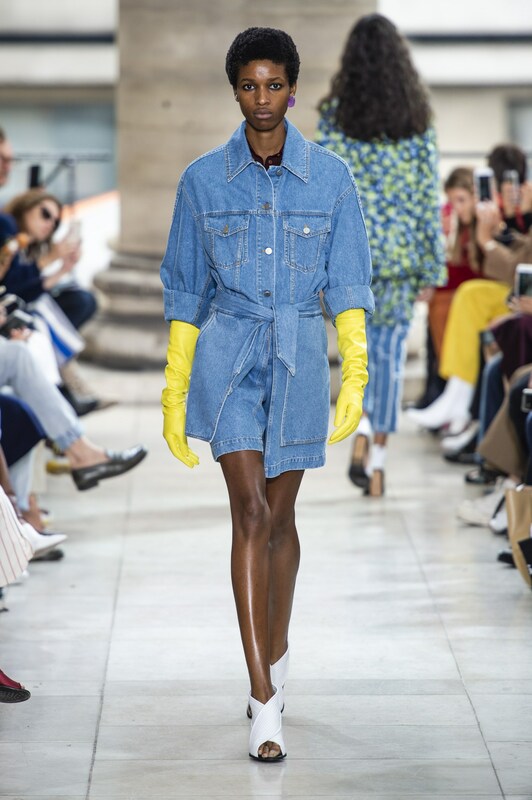 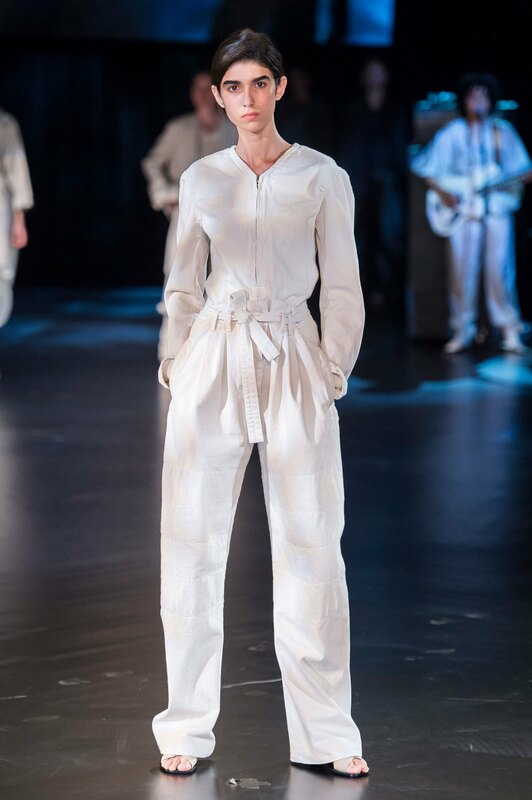 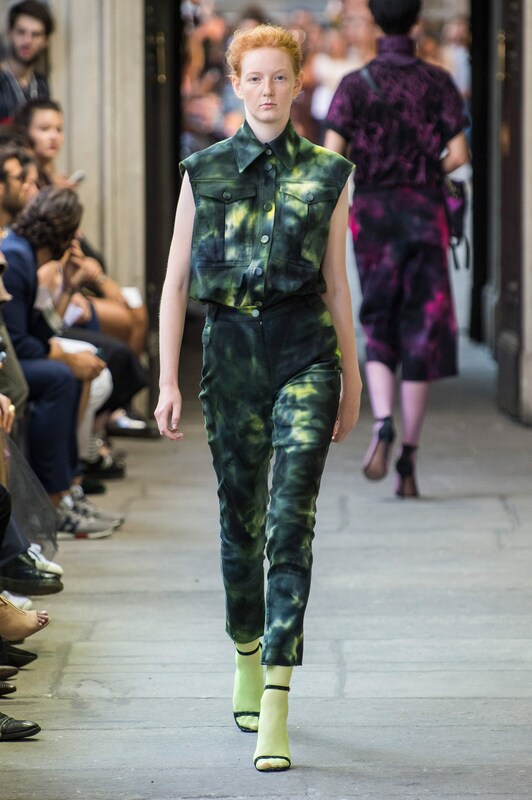 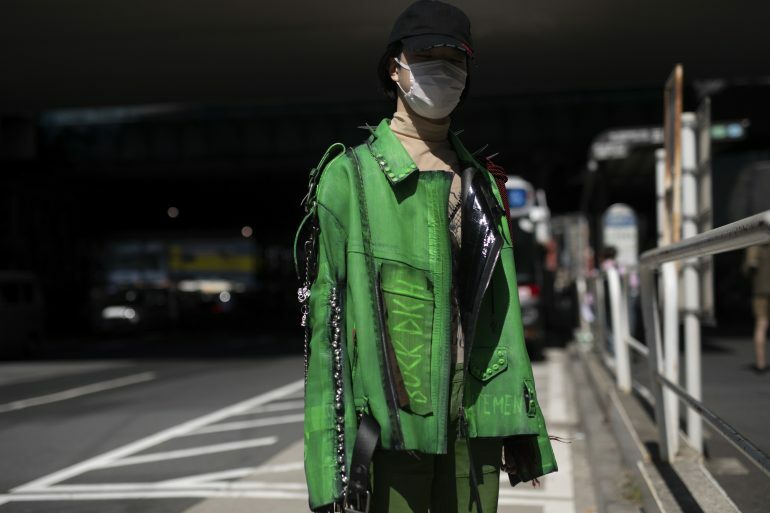 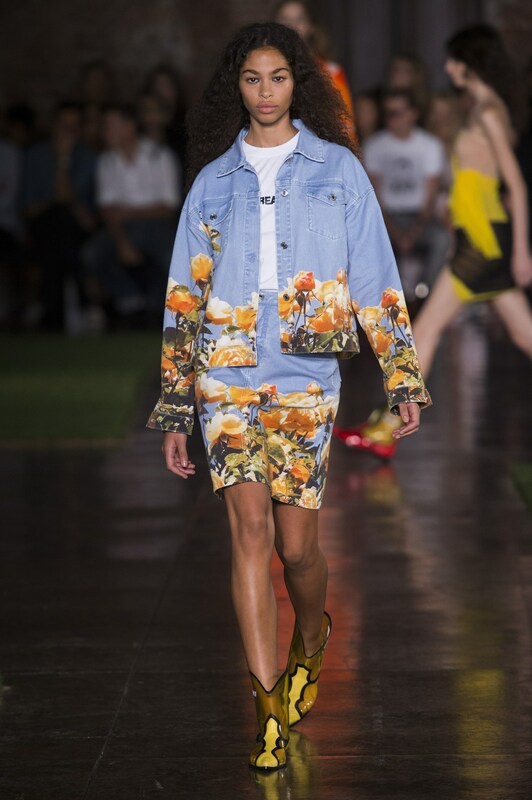 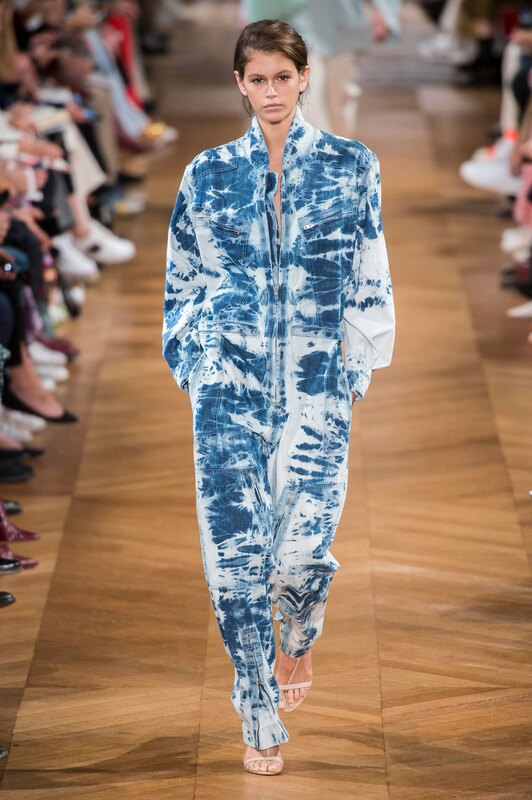 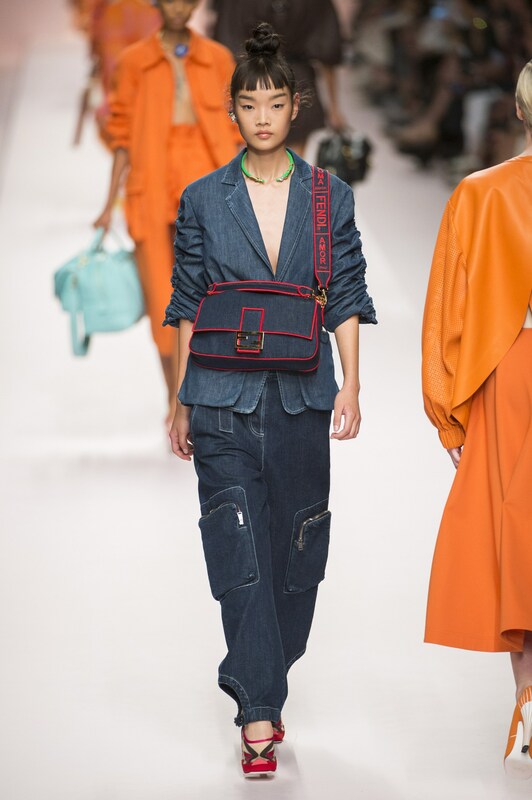 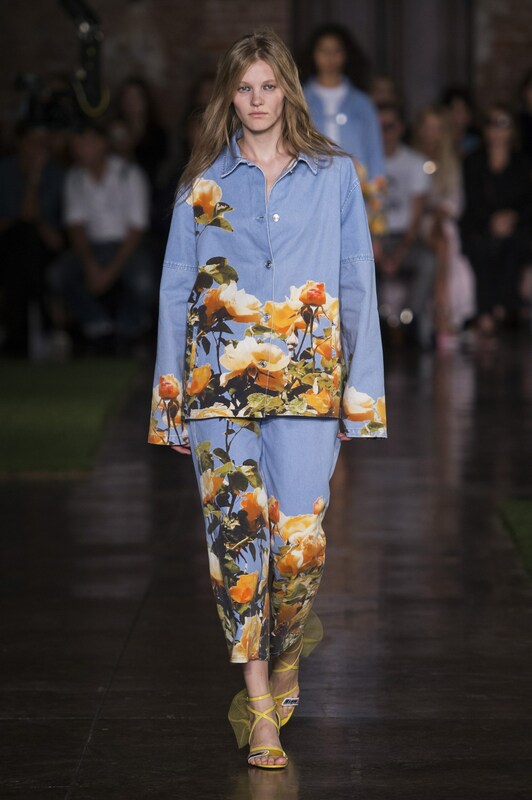 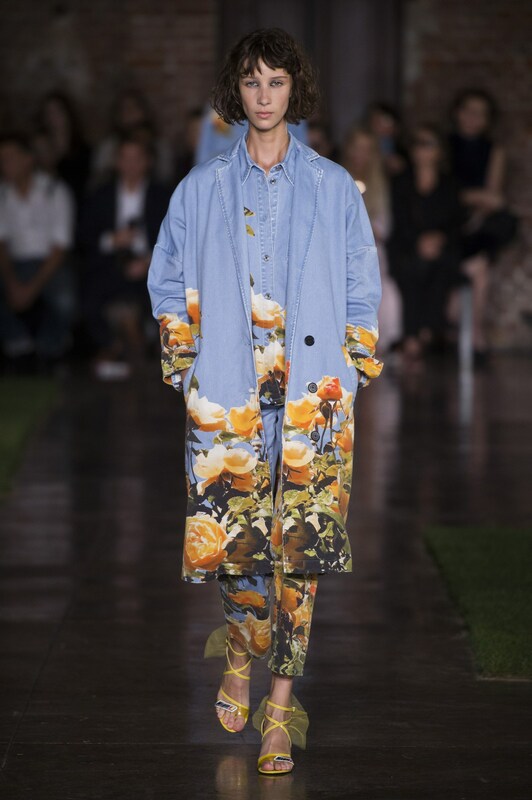 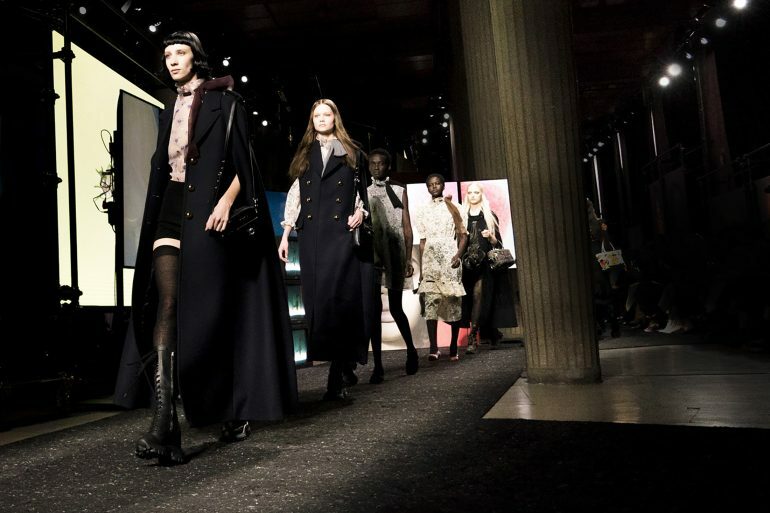 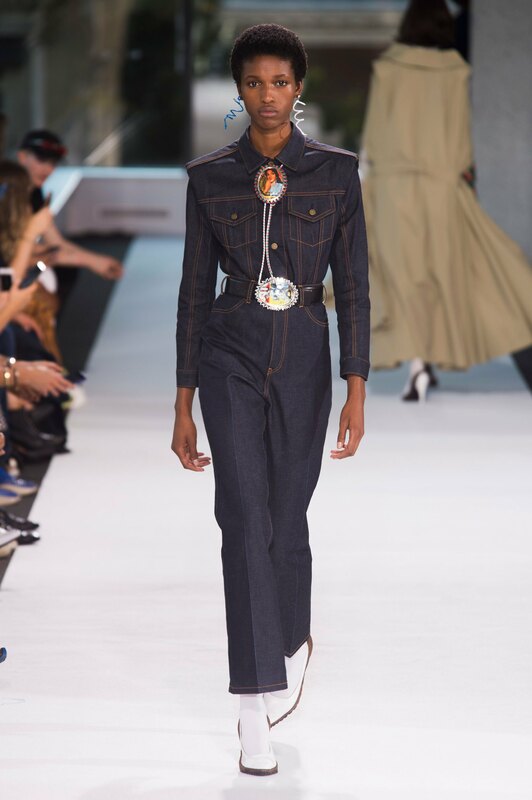 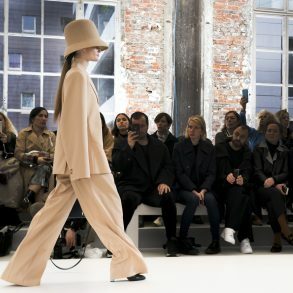 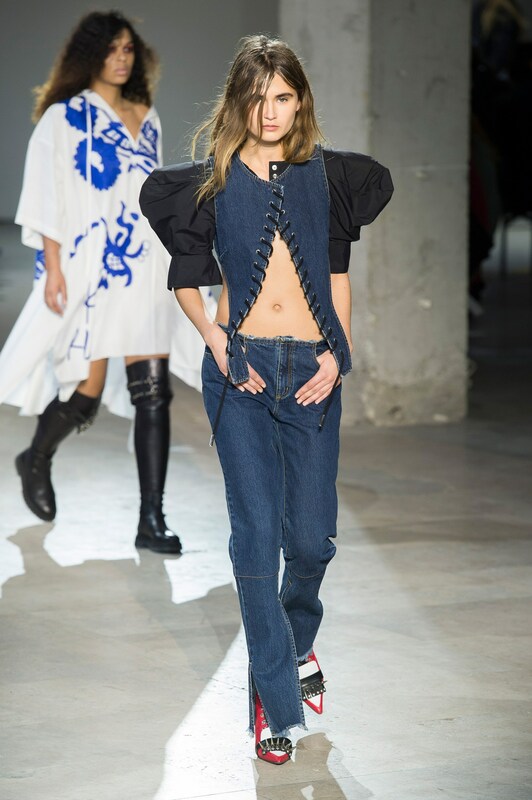 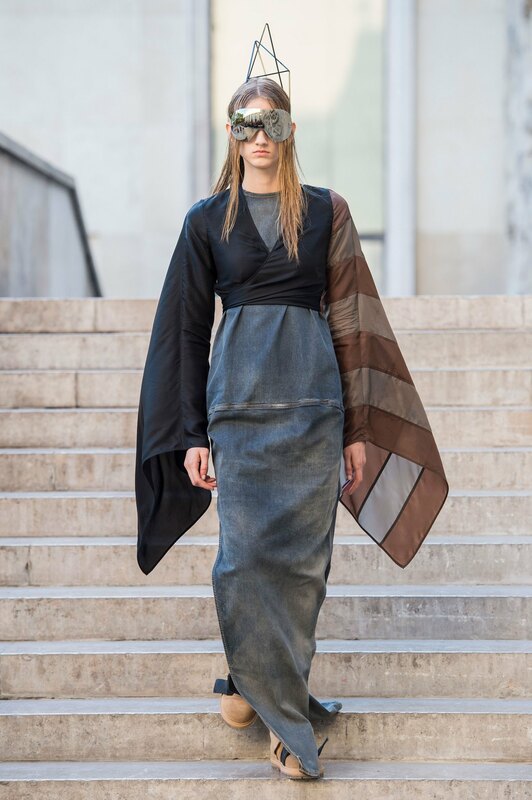 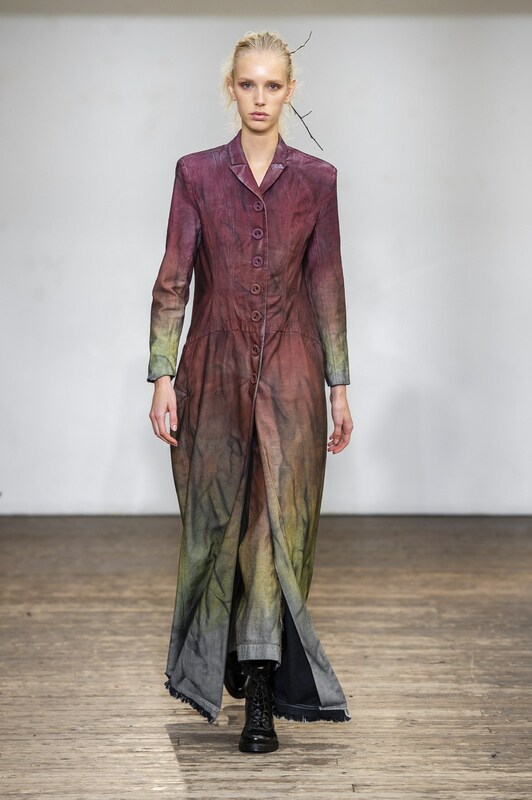 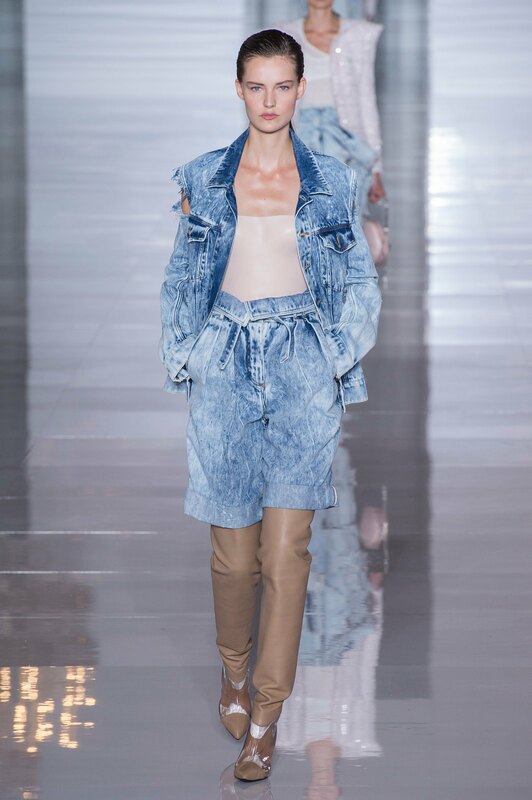 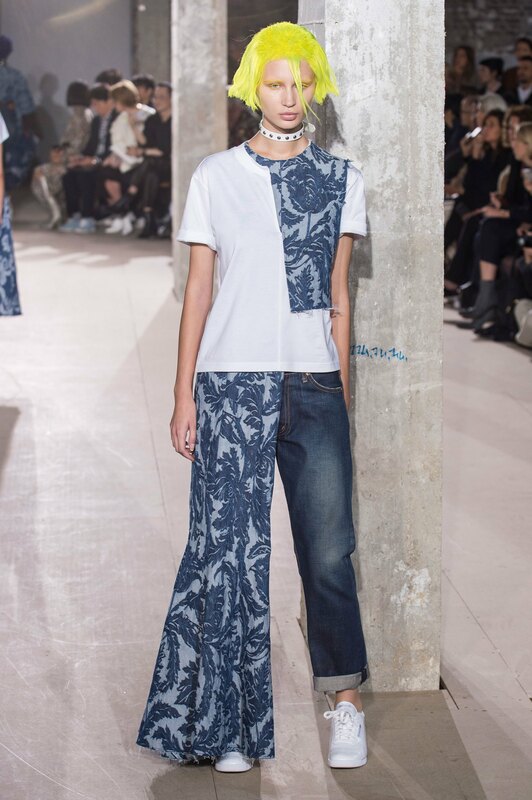 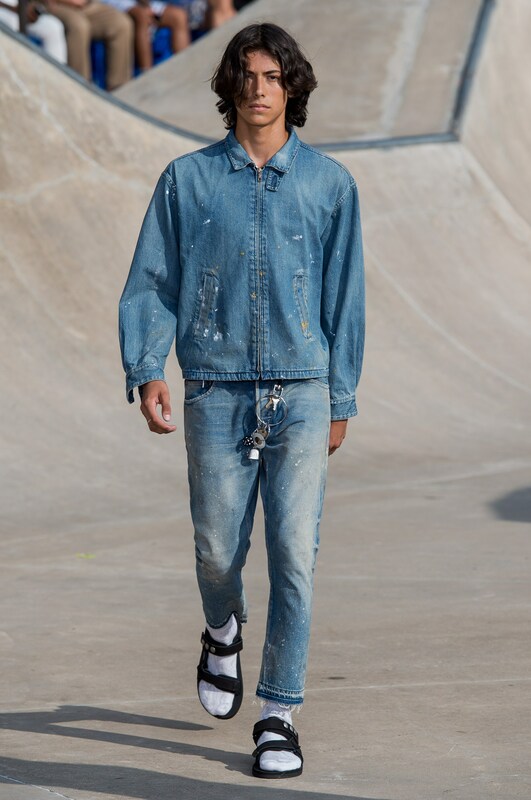 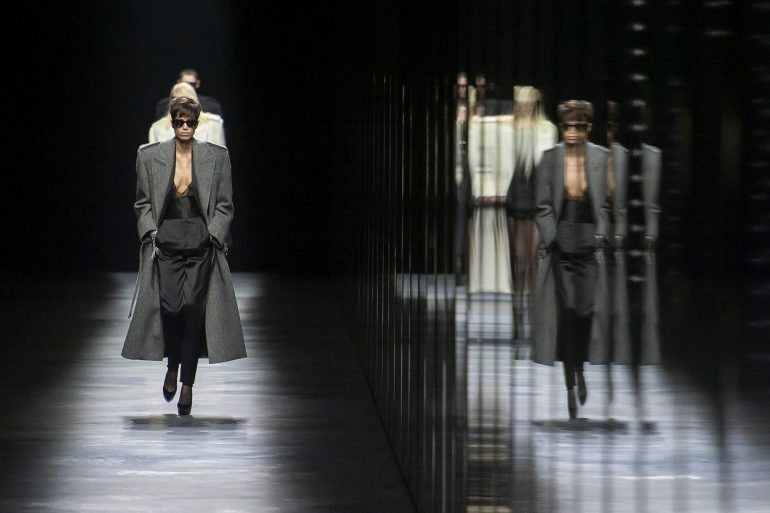 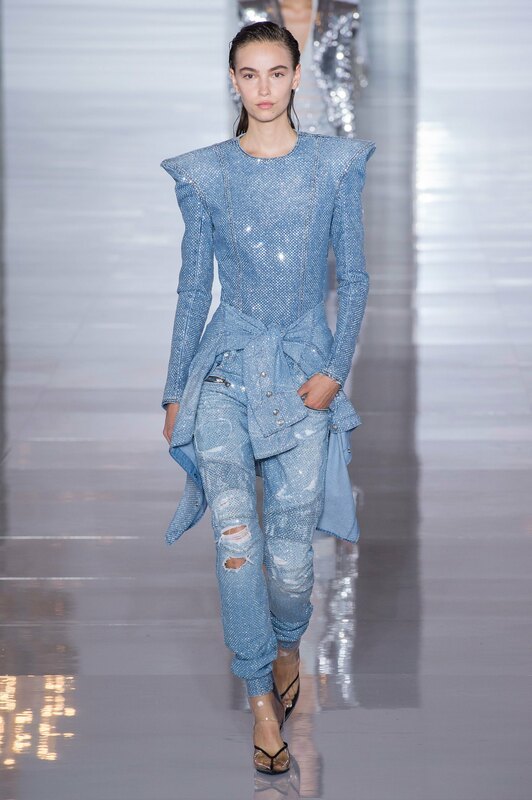 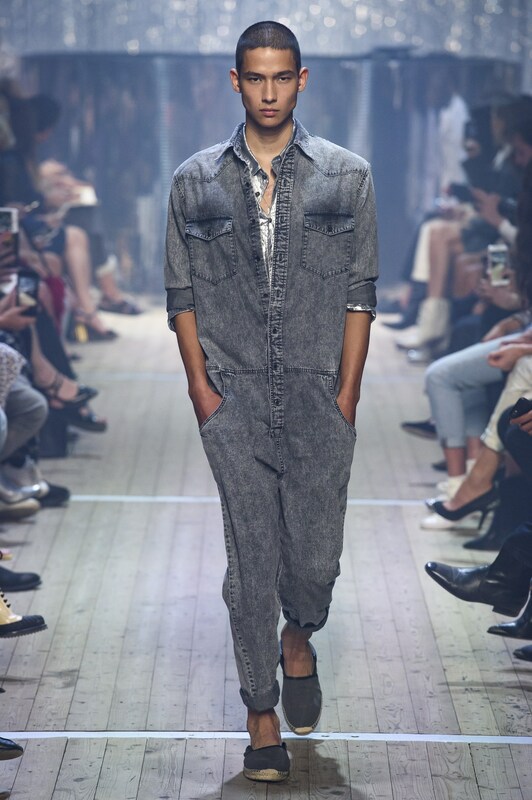 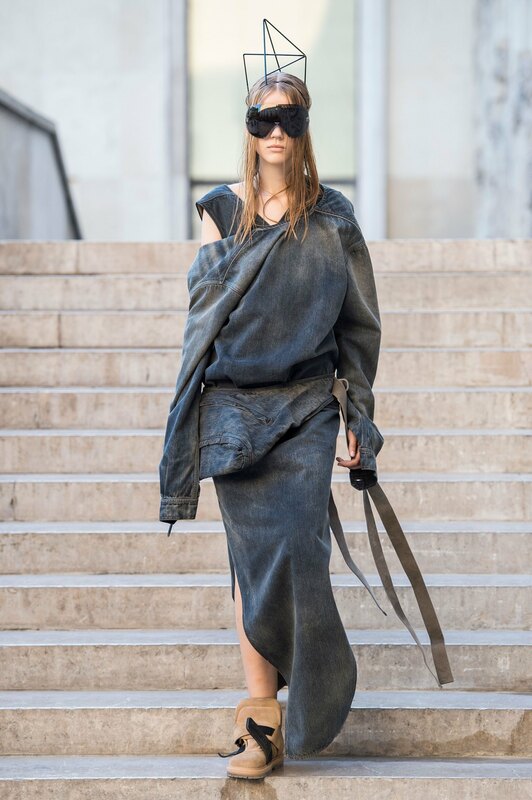 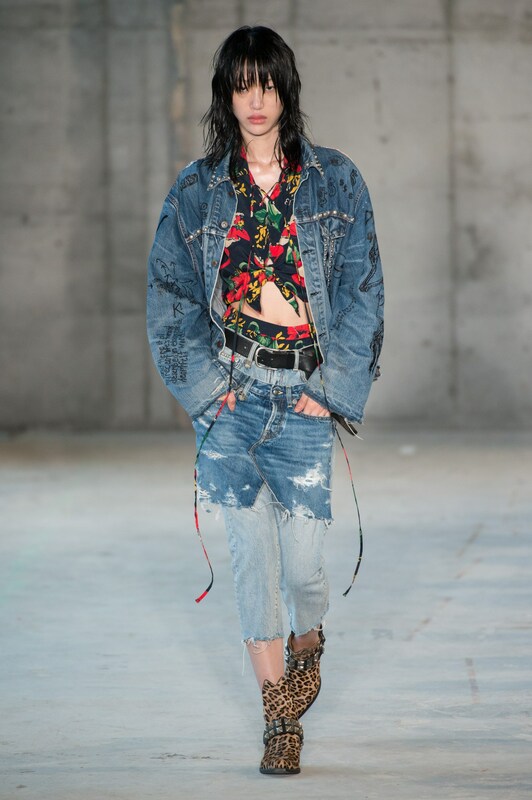 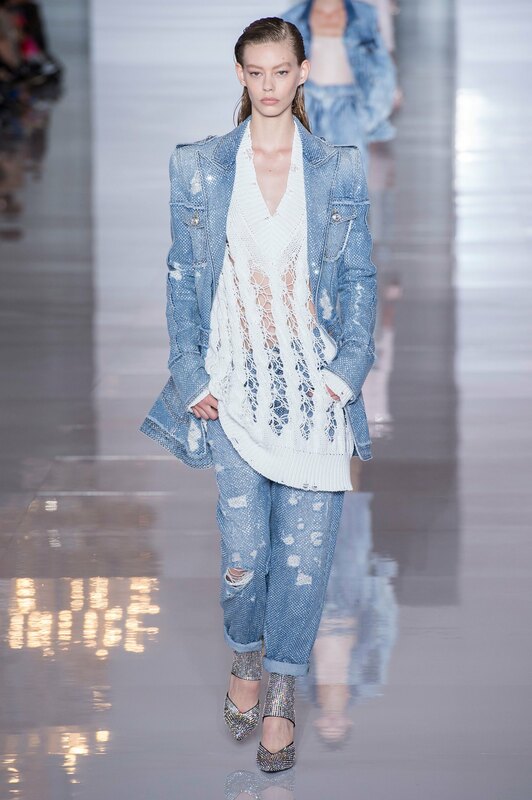 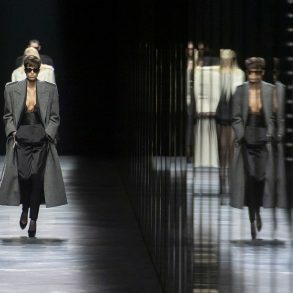 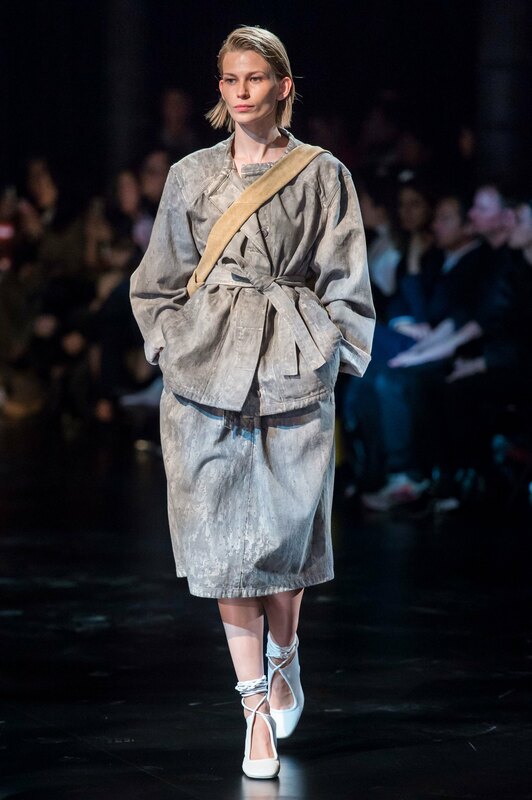 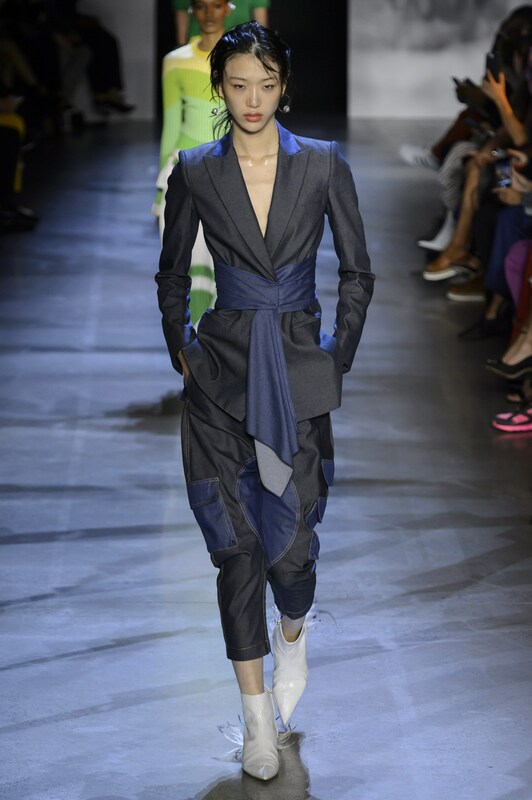 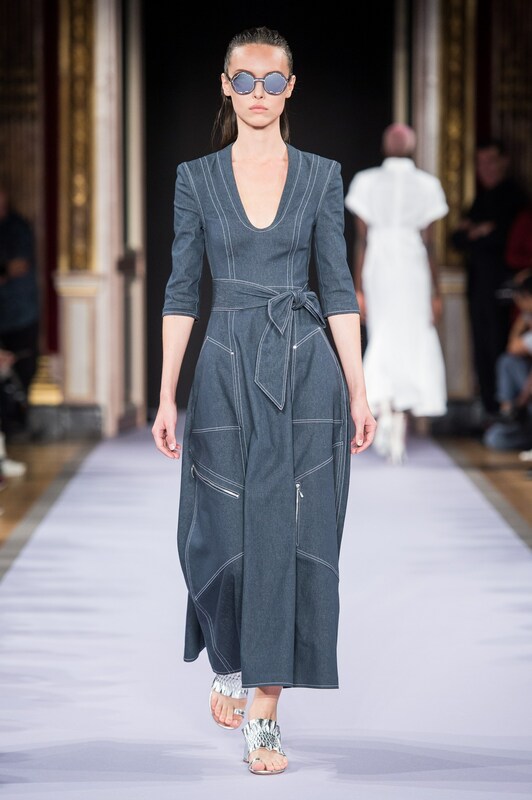 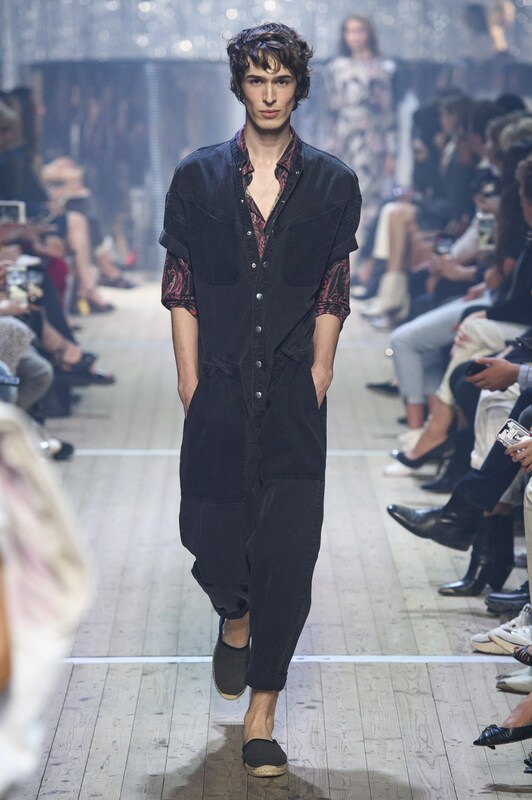 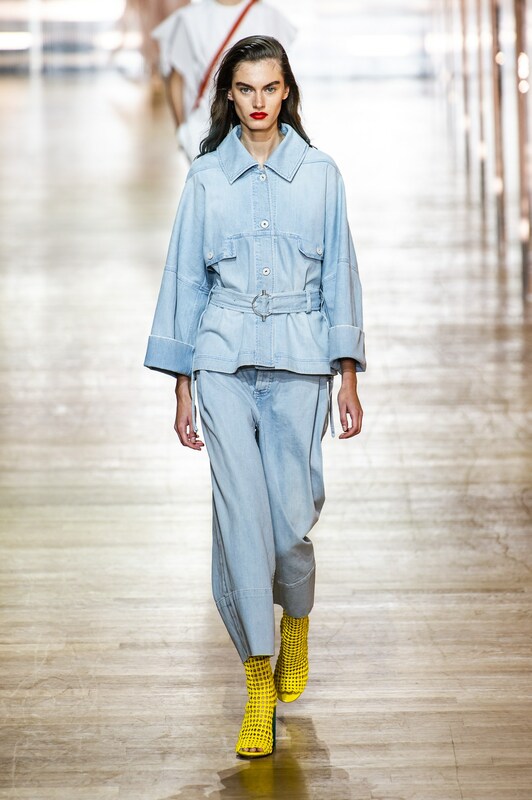 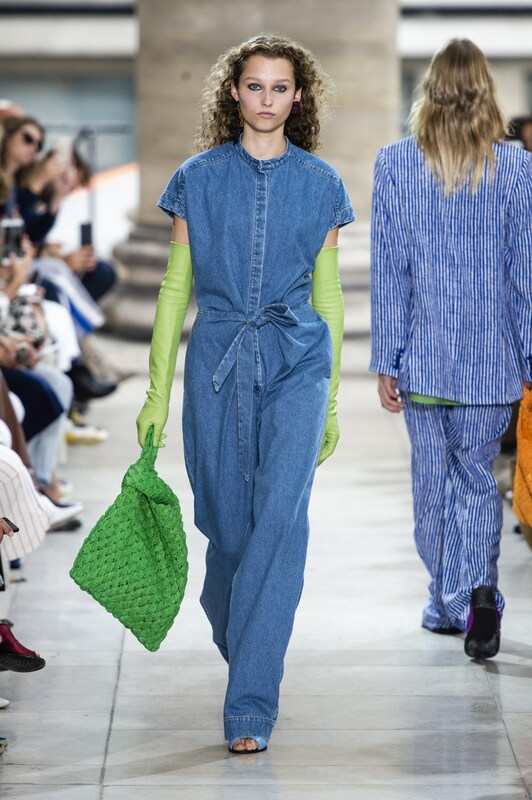 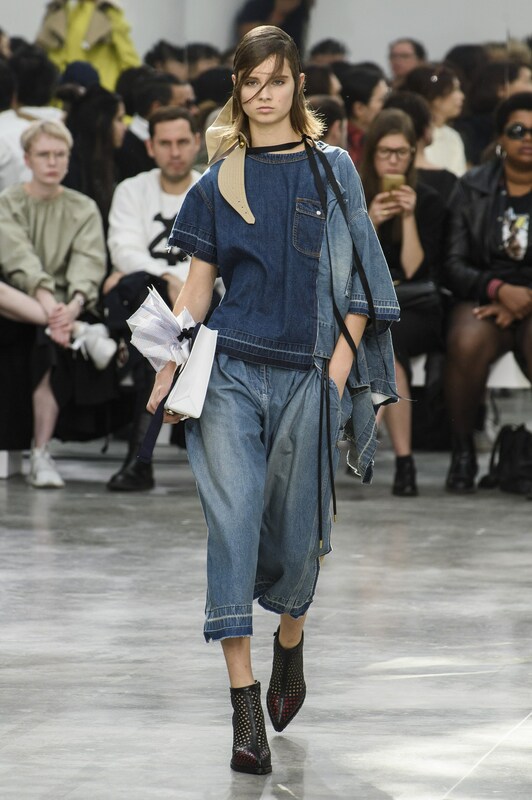 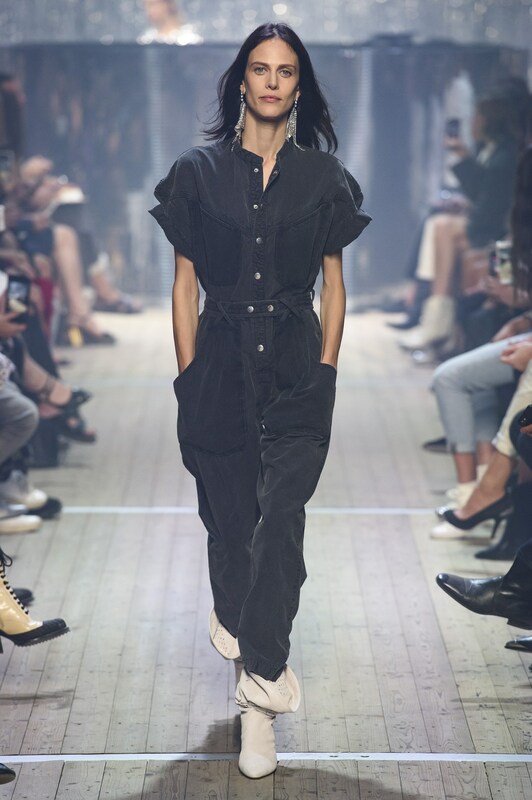 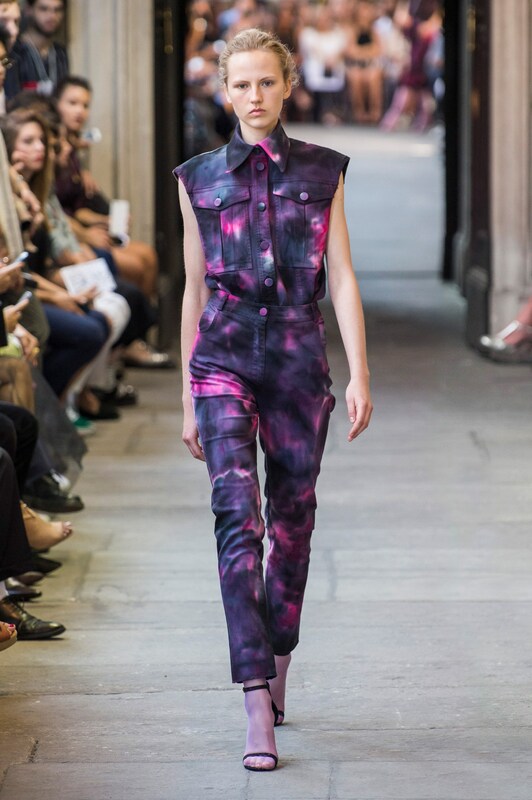 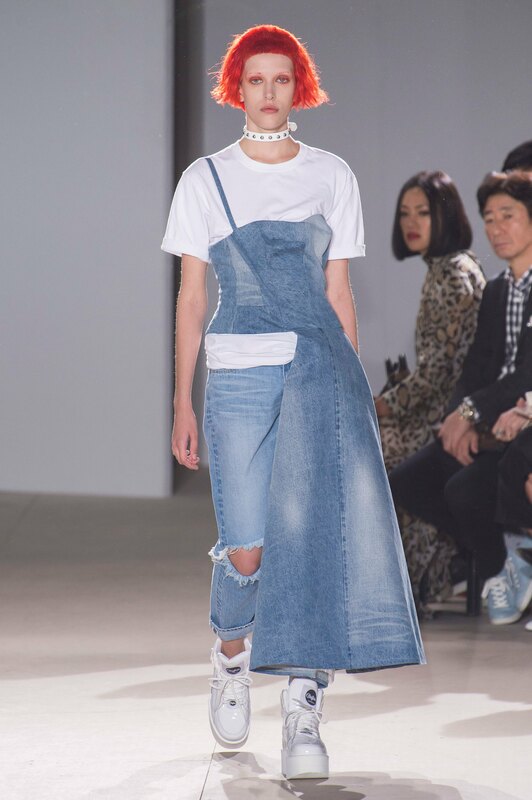 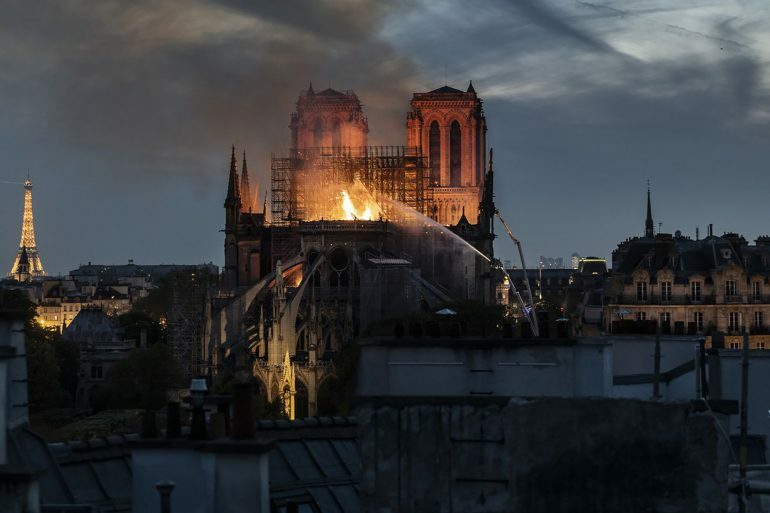 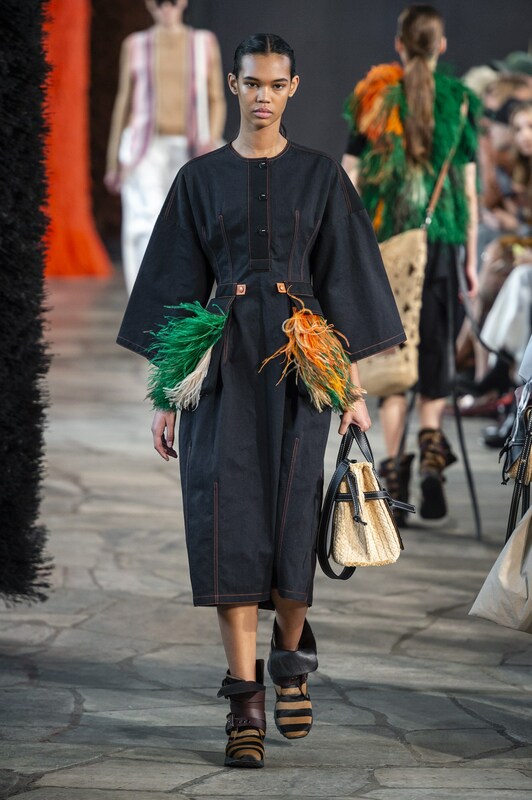 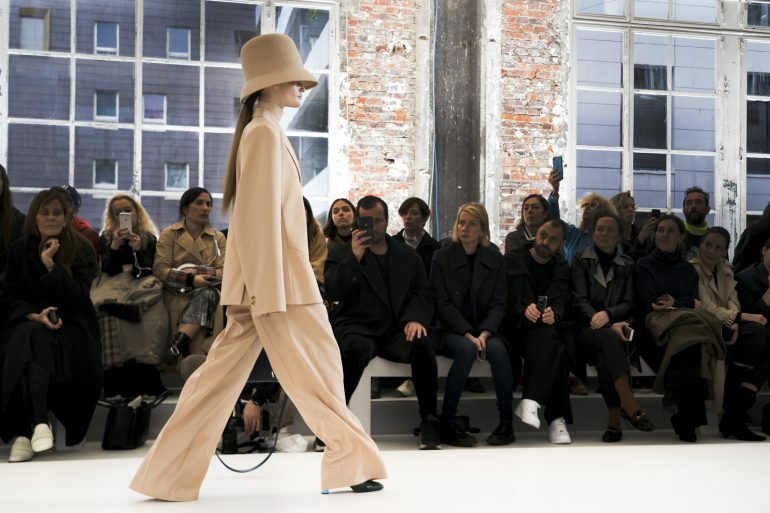 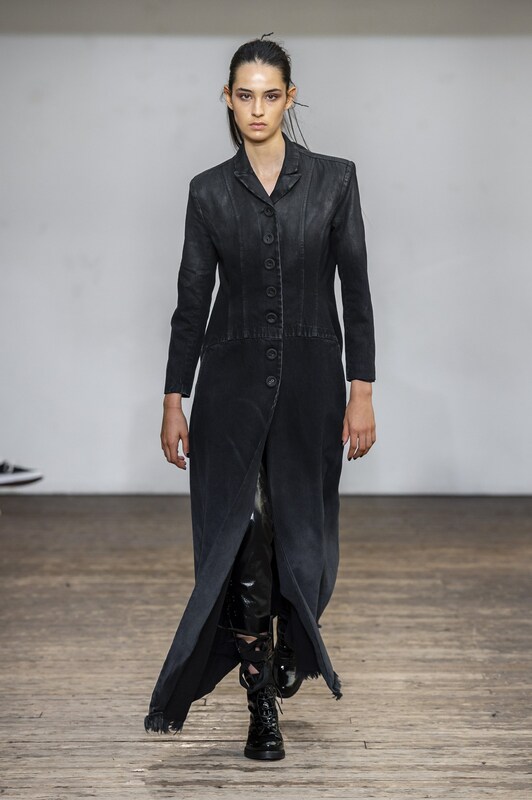 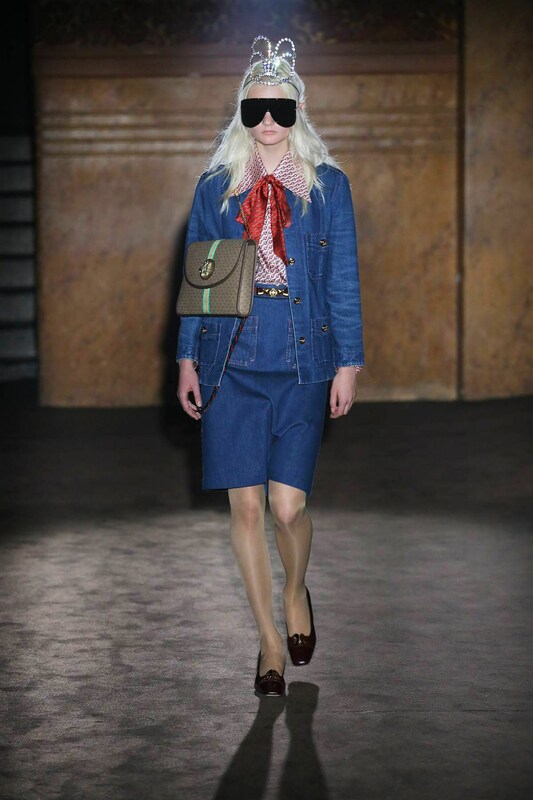 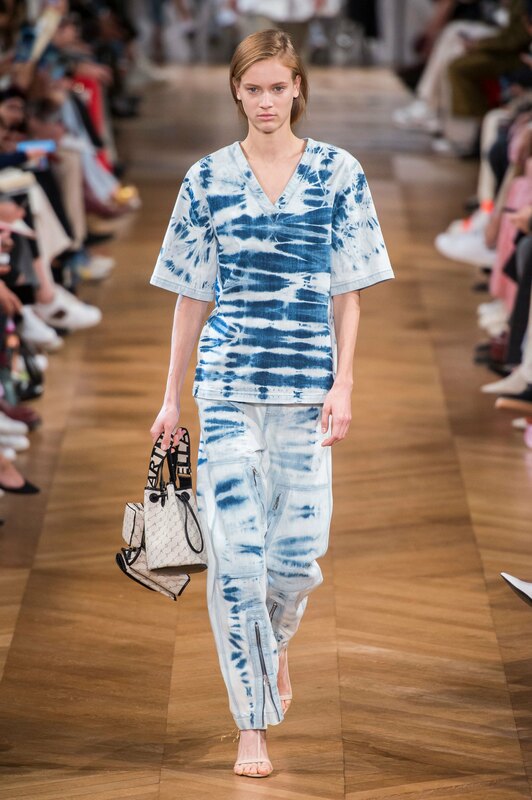 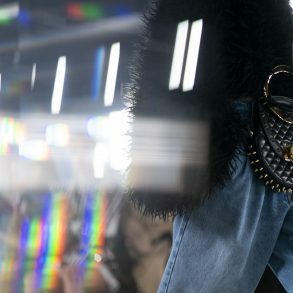 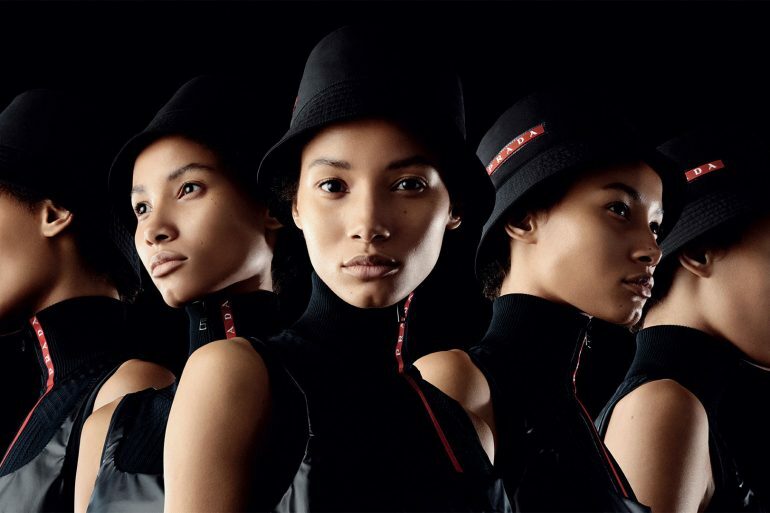 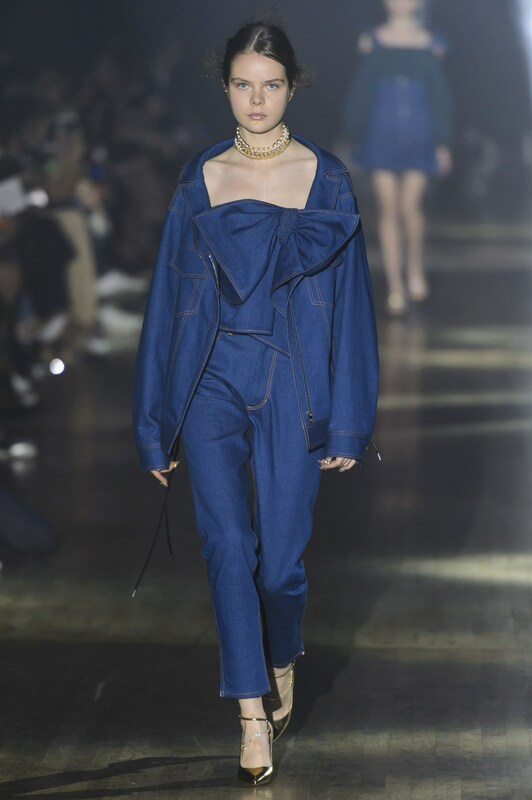 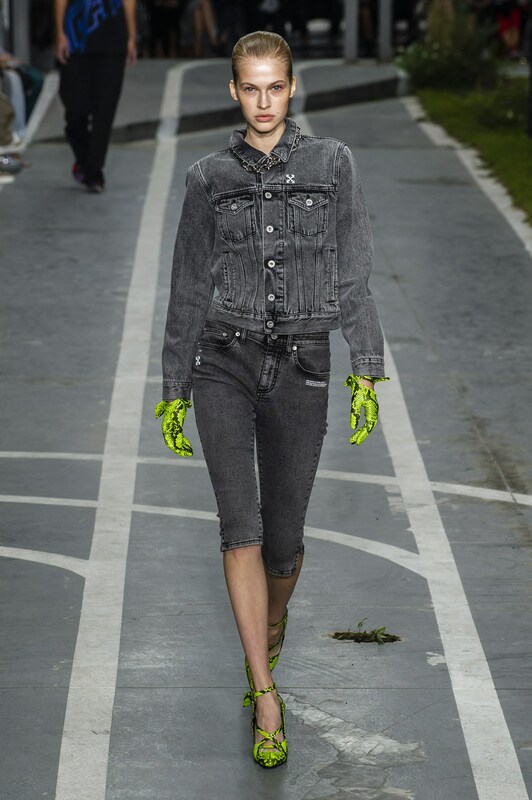 For Spring 2019 Designer Maria Grazia Chiuri at Christian Dior touched upon the look of denim-on-denim as did the design houses of Isabel Marant, Off-White, Sacai, R13, Rick Owens and a slew of others. 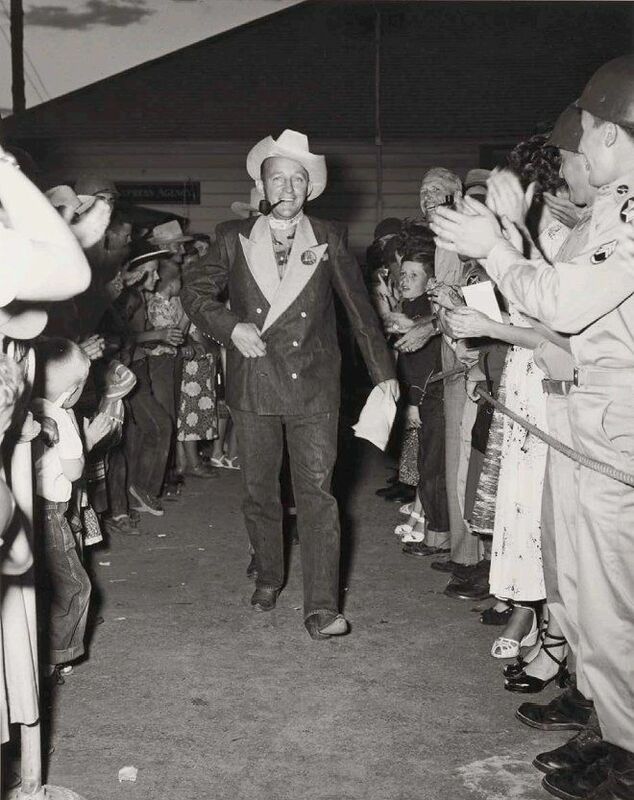 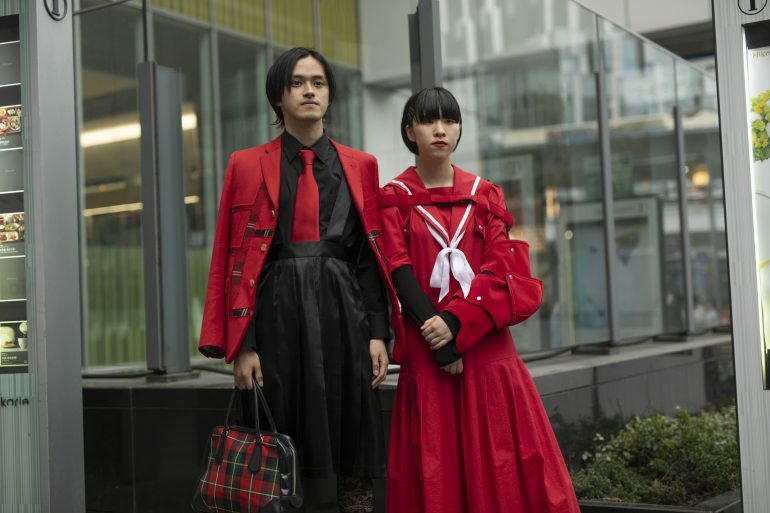 Who knew that one clerk in a Vancouver hotel, who was simply enforcing the hotels dress code policy, would go on to make a rebel out of Bing Crosby, let alone spark a look that is very much alive today.